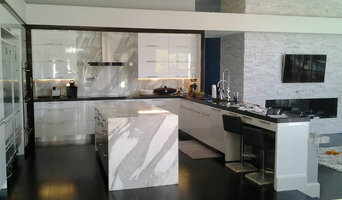 Eurostar Marble and Granite Inc is one of the leading fabricators in South Florida. We provide detailed designs, high quality materials and exceptional service. We do everything as a team and we will make sure you will be 100% satisfied with the work we do. Since 1981 Tropical Tile & Marble distributors has been a leading importer and distributor of ceramic and porcelain tiles, mosaics, marble, travertine, limestone, quartz, shellstone and granite. At Tropical Tile and Marble, we specialize in the latest trends, colors, and technology without compromising timeless style and workmanship. Our lines are constantly updated by manufacturers and quarries from around the world. Our tiles bring harmony and color to your life! Ensamble Tiles are carefully created to enhance your home in the best and easiest way. We transform every space into an astonishing atmosphere. The tiles are hand made and assembled one by one, using a traditional technique where the color is applied in a paste that lasts for over 100 years. We can transform any space into something unique helping you choose the best style, model and color combination for your special place. Let us help you design your own model, choose the pattern you love, and we'll make it with your favorite colors. You can explore our two collections to find your perfect match: Ensamble Collection Artisan Collection Please don't hesitate to contact us, we are here to make a colorful life for you! We sell and ship worldwide. Pompano Beach Marble, formerly known as Unlimited Industries, Inc. was founded in 2005 and is positioning itself as one of the largest wholesalers of Indonesian Royal Oyster marble tiles in Southeast United States. Reaching as far as Europe and Asia to obtain high-quality materials, Pompano Beach Marble imports a wide variety of the finest marble, travertine, limestone, and mosaics and offers them at very competitive prices. Our goal is simple: Continue serving our customers with outstanding quality and reliable service. Thriving to suit our customers' needs remains our top priority. Please choose Pompano Beach Marble for your next project, as we are the ultimate stone providers. Cuartex provides a very unique and innovative stone veneer. This new veneer is called "Flexible Stone Veneer". What makes it so different? Its a Real, natural stone but only 2-3mm thick. It comes from a new technique that literally peels real stone off into a fiberglass/polyester resin backing. This makes it possible to be flexible, thin and light without compromising the natural benefits like strength, durability and being waterproof. With all those benefits, customers all over are now able to apply natural stone in places never thought of before. Cuartex supplies only the best sheets throughout the USA. All City Tile Installation, Inc.
All City Tile Installation, Inc. is a family ran and operated company. Although established in 2003 we have been in the construction business for three generations now, so countless years of knowledge and experience have been passed down from father to son and it shows in the quality of the work we do. For more than two decades we have specialized in setting Porcelain, Ceramic, Marble and other Natural Stones, Glass Tile, Glass Mosaics etc. 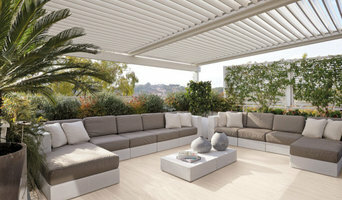 on floors, walls and even ceilings. Although most of our work is residential, we also do a lot of commercial work. No job is too big or too small, so don't be afraid to give us a call! Complete customer satisfaction has been our #1 priority since day one. We strive to make sure your expectations are met, therefore we offer the best quality work, every time, guaranteed. Tile 305 is a neighborhood store, conveniently located in Coconut Grove and very close to Coral Gables, Coral Way corridor, Key Biscayne, Brickell, Downtown Miami. We offer the greatest variety of products from domestic and foreign manufacturers in one place, to fit any project size and budget, from a backsplash to a whole building flooring, for a low-income rental property to a high-end custom design project. Our staff with over 30 years of experience will provide the best advice in the use of materials upon customer’s requirements for space and design. Ask about our eco-friendly products made from recycled materials. Tile Outlet has over 30 years of experience in tile. 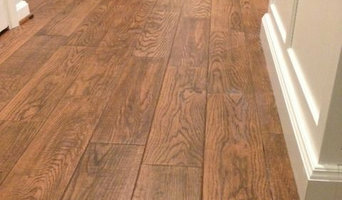 We strive to bring you the best selection of porcelain tiles, bathroom wall tiles, and wood look porcelain tiles. As direct importers, we are able to offer our customers factory direct pricing on the best quality products available. Our off-site 30,000 square foot warehouse is fully stocked. Customer service and satisfaction are of the utmost importance and that is why we have a fully staffed Pompano Beach tile store showroom of professional flooring specialists and designers. We are dedicated to each project and take much pride in the final product. With us, you will always deal directly with the factory and there is no middle man. We have been in business since 2001, operating with the most knowledgeable and experienced crew. Our showroom and fabrication shop are both conveniently located in Pompano Beach. Our staff members are highly trained to provide you with a professional atmosphere and courteous customer service. We emphasize hands-on management style and personal attention to clients. We utilize an advanced manufacturing process from the beginning to end. For over 50 years, family-owned and operated D&B Tile has been in the forefront of the home decor, commercial design and building industries - bringing the latest tile products, design ideas and expert consultation to its retail and trade customers throughout Florida, the Caribbean and beyond. With 9 showrooms in Florida featuring products from Italy, Spain, South America, the Far East and of course the United States, D&B tile has long been one of the country's leading tile suppliers to the trade industry and consumers alike.